As an owner of a privately held company, you are constantly faced with challenges: optimizing cash flow, maximizing profitability, accelerating growth, and planning your exit strategy. 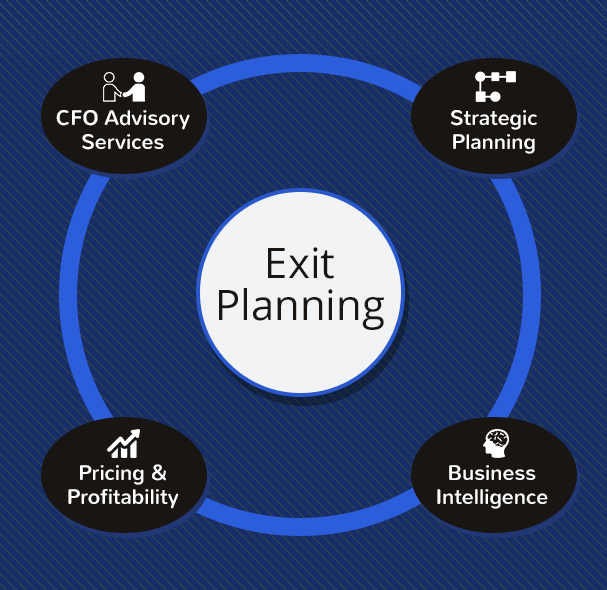 Fractional CFO partners with you as a consulting firm and business advisor to develop a game plan for the myriad of strategic, financial and business challenges you face. Our CFO services help to ensure the path you are on is the quickest and most effective. We provide the expertise needed to perform chief financial officer duties on a consulting, interim or part time basis. As your trusted financial advisor in the capacity of interim CFO, we carefully listen to your goals, aspirations, challenges and frustrations. We then collaborate with your team to provide CFO services, business consulting and exit strategies prioritized to navigate your company from its current state to the desired end state – implemented and executed at a pace that you are comfortable with, both operationally and financially. With expertise in finance, accounting, strategic planning and other diverse management projects, our “Cradle to Grave” CFO services are delivered by executives who have “Been there, done that”.